Immerse yourself in the culture of high octane commerce in the world’s capital of capital. As you venture through the winding streets of Lower Manhattan, on your way to a free tour at the Federal Reserve Bank or to marvel grand façade of the New York Stock Exchange (NYSE), you’ll encounter all the sights and sounds of this frenetic financial district, suffused with the grandeur of the American dream, each street testament to the highest ideals of progress. The Federal Reserve Bank (FEDEX) and the New York Stock Exchange are obvious attractions, but be sure not to miss the iconic Wall Street Bull monument at 26 Broadway. From Manhattan you have access to an array of New York’s treasures, from Brooklyn Bridge and City Hall to the Statue of Liberty and Ellis Island. For those who intend to do Wall Street to the max, spared now expense, there are over a dozen hotels and even a Wall Street Bath and Spa on 88 Fulton Street for those who require to recline in the lap of luxury. For people interested in history we recommend the Wall Street Financial Crisis Tour with all the historical facts. Educate yourself about Wall Street’s history and do it with a real guide for only £30.50 per person. More info here. The walking tours of Wall Street exist in a league of their own, first hand experiences and inimitable anecdotes fused with an expert historical knowledge of the district. The Wall Street Experience offers some of the most popular tours, covering every aspect of the district, from the Financial Crisis Tour to 9/11 Memorial & Ground Zero Tour. 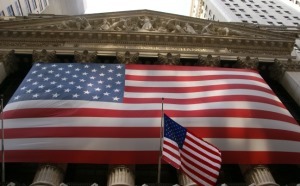 Wall Street Insider tour is only £21.50 per person. New York’s famous yellow cabs are sure bet for those who want to get from attraction to attraction quickly, but Lower Manhattan is also known for its quaint and winding side streets with the usual hidden curiosities. Driving is discouraged in general, and for this reason there are excellent public transport links. Those heading to Manhattan from Staten Island are encouraged to take the free ferry.